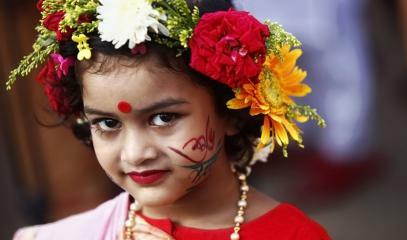 The Bengali New Year or Pohela Boishakh is celebrated in various parts of South Asia and among migrant communities. 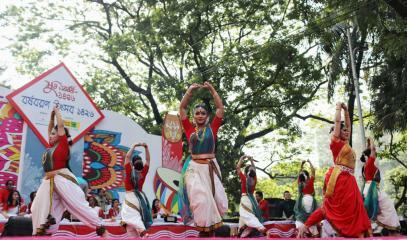 It began during the Mughal era and celebrates national harmony. 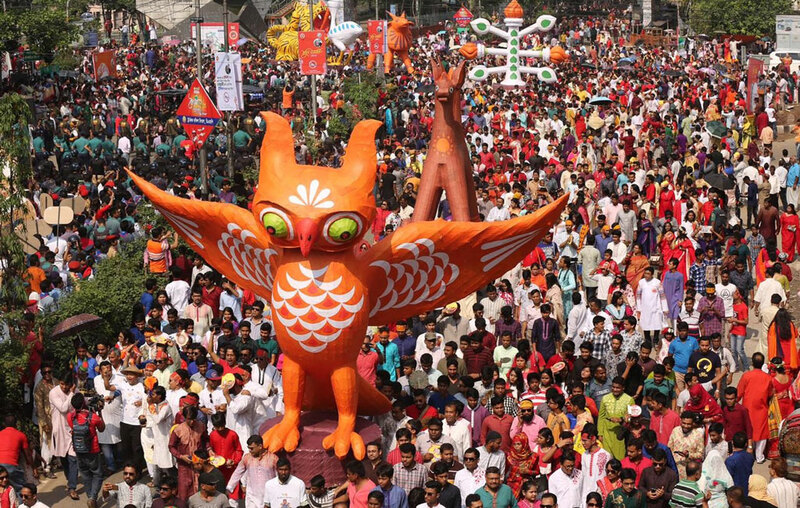 Dhaka (AsiaNews) – Yesterday was Pohela Boishakh, the first day on the Bengali calendar, and the beginning the year 1426, an event that was marked with great celebrations across the country, including stalls selling sweets and street food, colourful balloons, typical dances and festive dances, wagons and processions. Local sources told AsiaNews that in Dhaka, the people took to the streets to celebrate the New Year included children, elderly and adults who wore a garment that included the typical colours of the festivity: red and white. Outdoor celebrations began early in the morning and had to be concluded by no later than 5 pm, as established by a police ordinance. 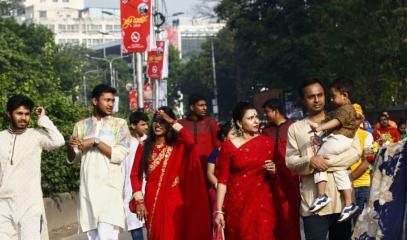 Bengali New Year was introduced by Mughal Emperor Akbar in the year 1556 of the Gregorian calendar. 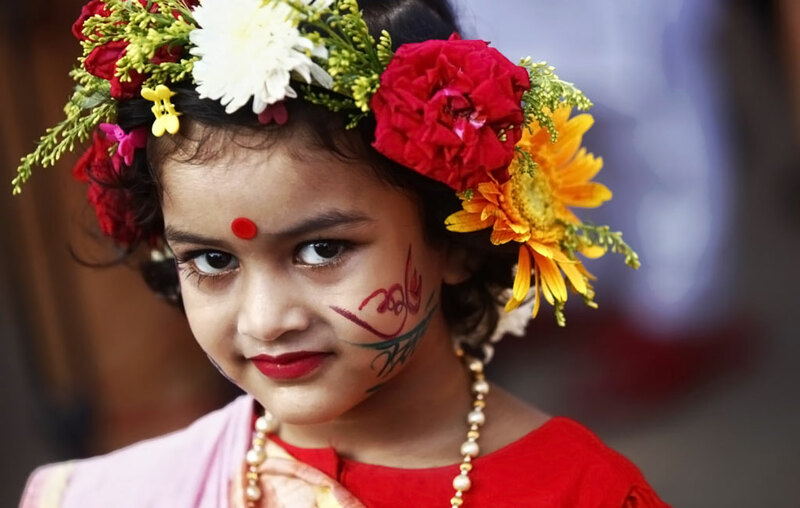 In the local language it is called Pohela Boishakh, the first day of the year, and is celebrated in many areas of South Asia and abroad among Bengali communities. For the occasion, families prepare traditional dish: rice soaked in water the evening before, a fish cream topped with chilli and onion and Ilish (Tenualosa ilisha), a fresh water fish that is Bangladesh’s national fish. 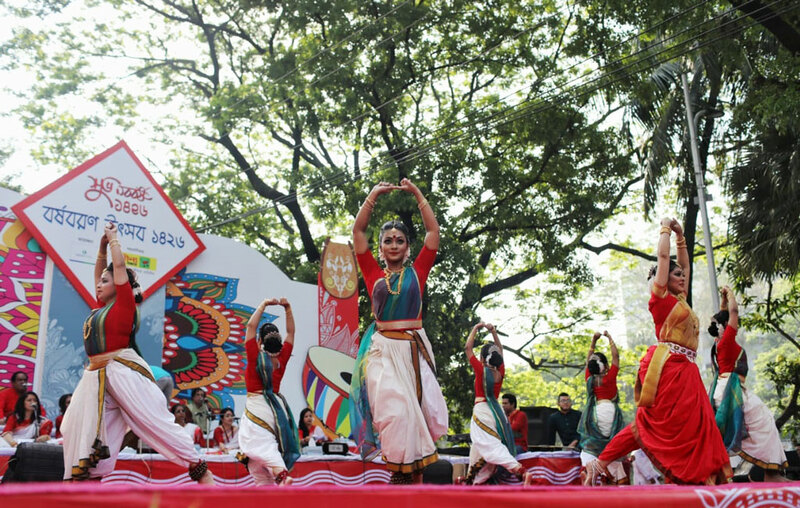 Over the years the event has turned into a multi-religious and multi-ethnic festival, uniting the country’s various communities in a harmonious way. Bangladesh President Abdul Hamid and Prime Minister Sheikh Hasina issued a message of greeting for the occasion. 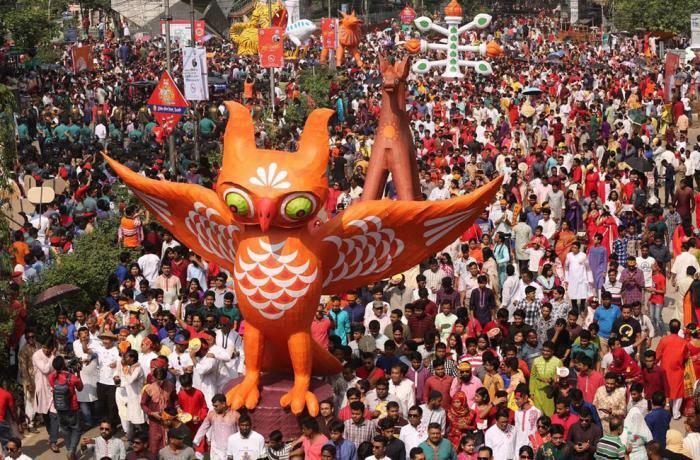 The President stressed that the celebration is "universal and non-communal" and wished "happiness, peace and progress to the country". The Prime Minister highlighted the results of the "fight against terrorism, fundamentalism and drugs" in a message of hope for "progress and forgetting shortcomings and sorrows".